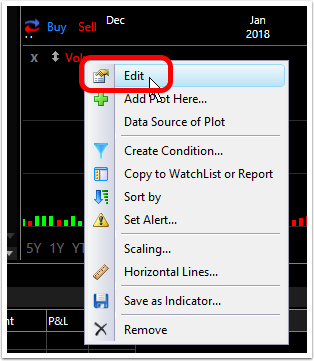 When an unusual amount of volume happens on any given time frame, the resulting volume bar will tend to skew the rest of the volume bars in view. 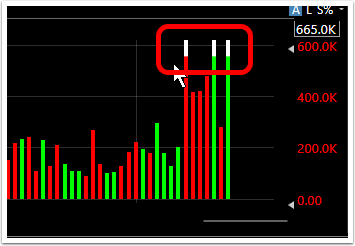 In order to accommodate the large volume bar for the volume spike, the other volume bars become unusually small. 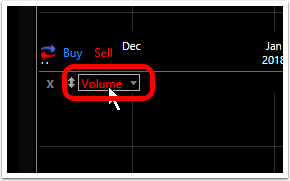 This makes volume trends difficult to see. Here are the steps to truncate (adjust) those spike volume bars to maintain a more balanced volume view. 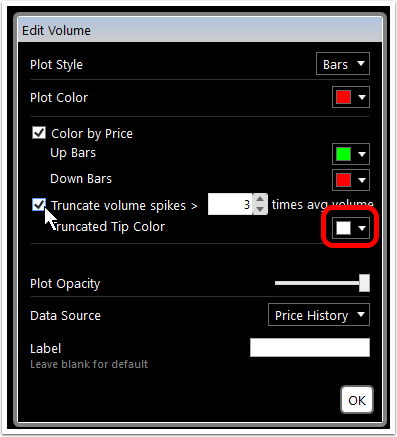 Each bar that is truncated will have the top of the bar highlighted with the color chosen. This allows you to see which volume bars are affected.